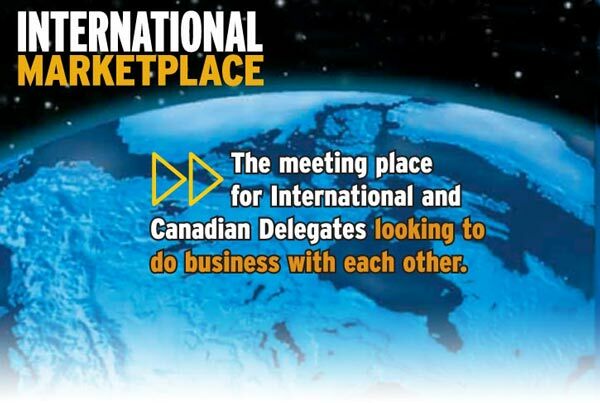 Embedded within the convention, the International Marketplace serves dual purposes, as a provider of key services to international delegates and as a physical space for networking with others from Canada and around the world. 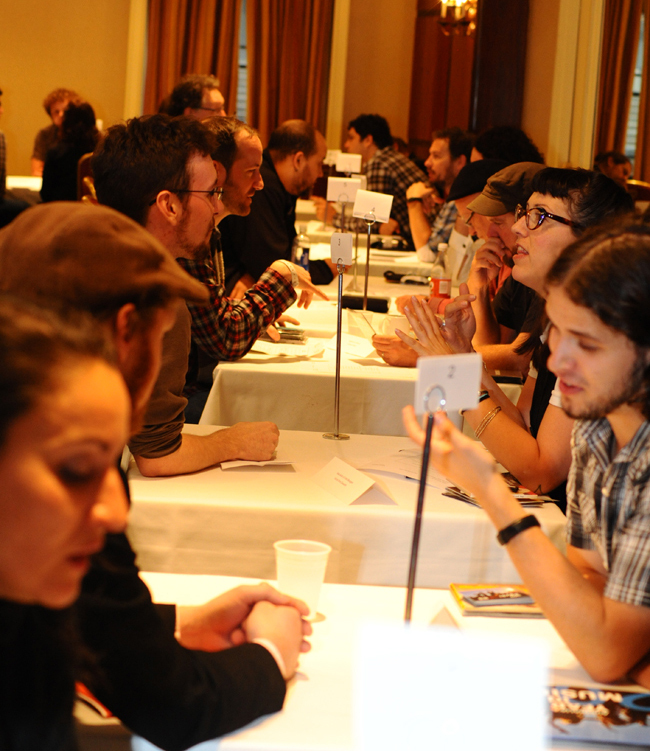 Follow-up with contacts made at other international conferences such as MIDEM, WOMEX, Reeperbahn, The Great Escape - and meet new potential business partners. The International Marketplace (IMP) team and Music Ambassadors are onsite and ready to help you connect with the delegates you want to do business with. In advance, preview the online list of IMP participants who will be on-hand looking to do business in Canada. Sign in early, provide your objectives and we’ll help you make the right connection. Many B2B meeting sessions are pre-arranged. Capacity is limited. Participation is on a first-come, first served basis. Please contact the International Marketplace for more details. By appointment only. The International Marketplace is located at the Sheraton Centre Toronto Hotel, Lower Concourse Tradeshow Floor, Hall E.
Meet a panel of market specialists, talent buyers, concert promoters and industry decision makers for CWM’s first-ever official mission from the USA. Discover access points for the USA and meet those who can help build bridges between Canada and world’s largest and most influential music market. Meet one-on-one with members of the delegations from the USA in a session of targeted, curated, pre-arranged meetings customized to your objectives. By appointment only. Contact the International Marketplace for details <kathy@cmw.net>. Rare opportunity to meet face-to-face with music professionals & industry players and speakers in attendance at CMW. Drop by to get advice and best practices from some of the finest industry people. The music market in Mexico is the 2nd largest in Latin America, increasing by 23.6% last year to a total revenue of US $133.5 million. It ranks 15th worldwide, according to the latest Global Music Report published by The International Federation of the Phonographic Industry (IFPI), moving up from #17 in 2015. The phenomenal market growth is driven by streaming, which jumped 60.7% year over year, to US $71.4 million, and was responsible for the majority of industry revenue in Mexico in 2016 at 53.5% of the total. They rank #8 for synchronization, #14 for Digital, and #17 for Physical. With a population of more than 120 million, Mexico creates a potential hotbed for live touring. Mexico is a cost-effective touring opportunity for export-ready artists looking to increase their audience and attract new fans. Meet one-on-one with members of the delegations from Meixco in a session of targeted, curated, pre-arranged meetings customized to your trade objectives. By appointment only. Contact the Intl. Marketplace for details <kathy@cmw.net>.